Winners of the 2012 Haizetara International Street Band Competition, Oompah Brass are now a multiple award-winning, critically-acclaimed brass ensemble and are the world’s leading exponents of ‘Oom-pop’ – Bavarian-style re-workings of songs such as Guns ‘n Roses’ ‘Paradise City’, Britney Spears’ ‘Toxic’, and Queen’s ‘Bohemian Rhapsody’. 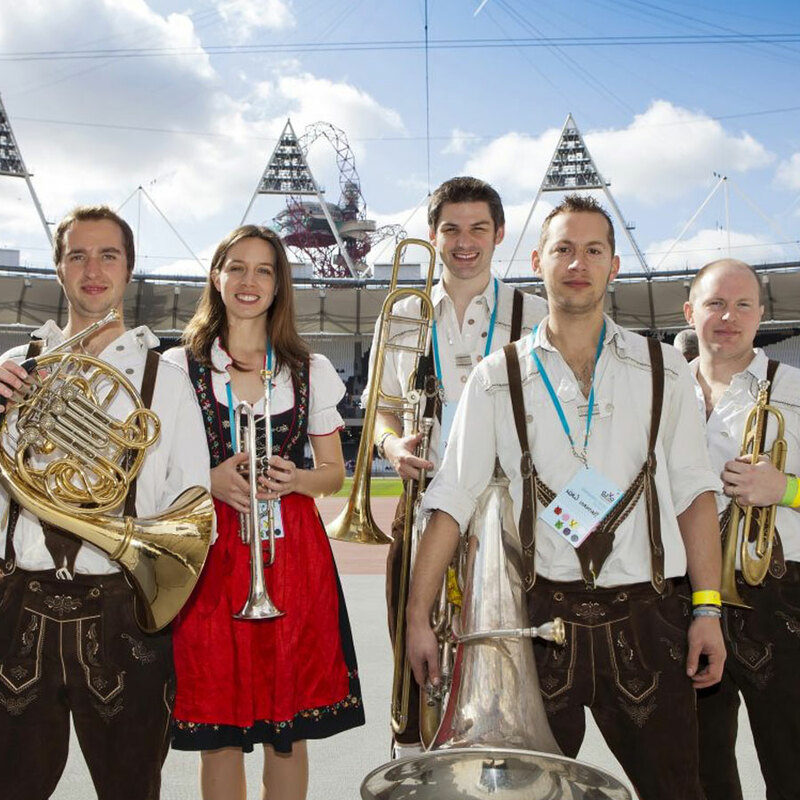 In the regular line-up of two trumpets, horn, trombone and tuba, the five pioneers have performed in iconic venues across Europe such as the Montreux Palace Hotel in Switzerland, the Hammersmith Apollo, and the brand new Olympic Stadium in London (in which they were the first band to perform live). For a band like no other we invite you to peruse our site and introduce yourself to the magical world of Oom-pop.